My quilting friend and I went to this quilt show on Friday and the first thing we looked at was the antique quilts. 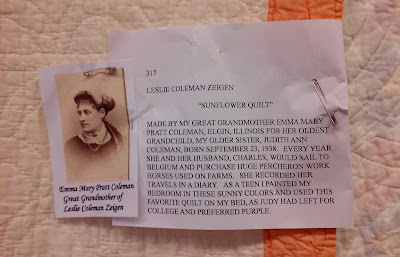 I was surprised to see that this quilt was made in Elgin, Illinois, where my brother has a store (my Dad started the store around 1960). This quilt was made in Wheaton, Illinois which is not far from where I grew up and it's where my sister teaches piano lessons. Now on to the current day quilts. 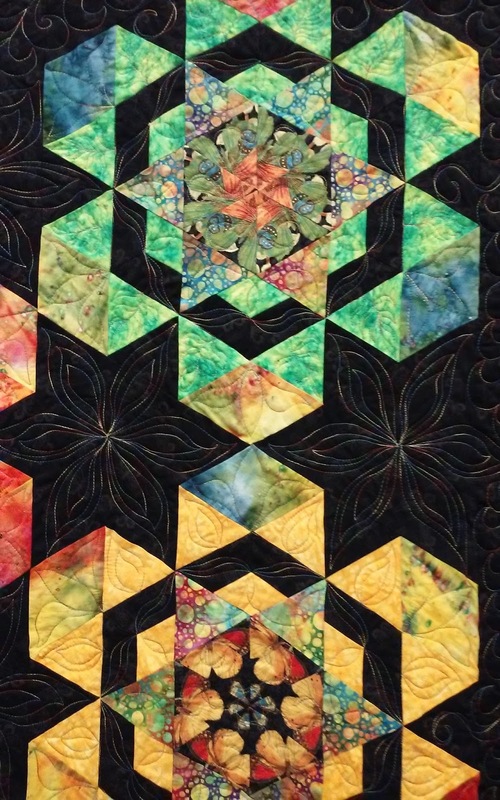 This quilt, not surprisingly, won 1st place! I think you will be able to see the quilting with variegated thread. 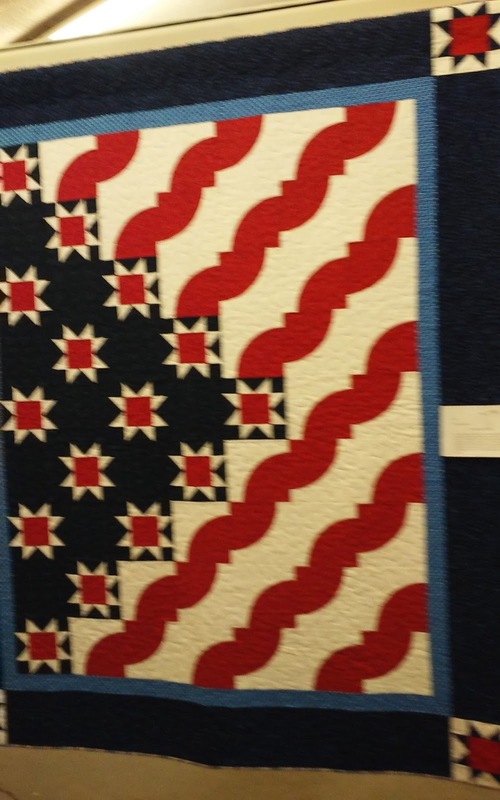 A great patriotic quilt! I'm sorry some of my photos are not real sharp. 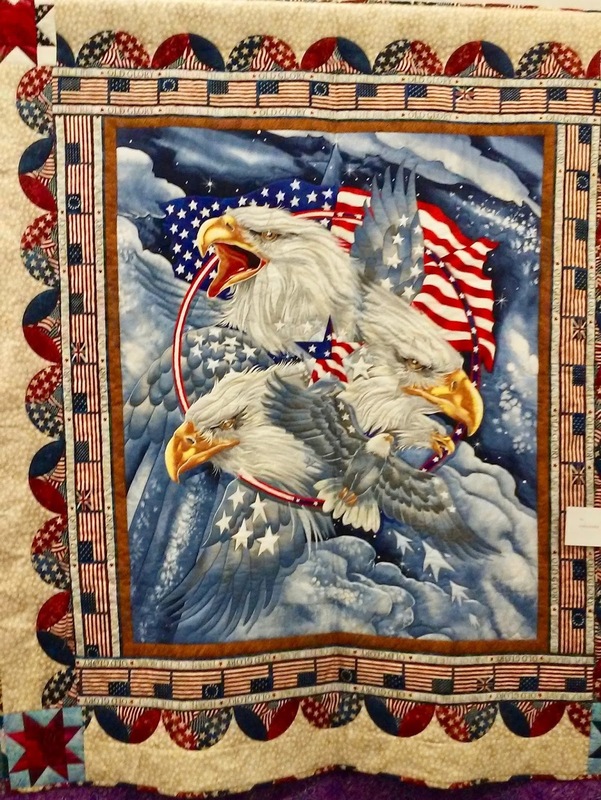 This would make a great patriotic quilt also. 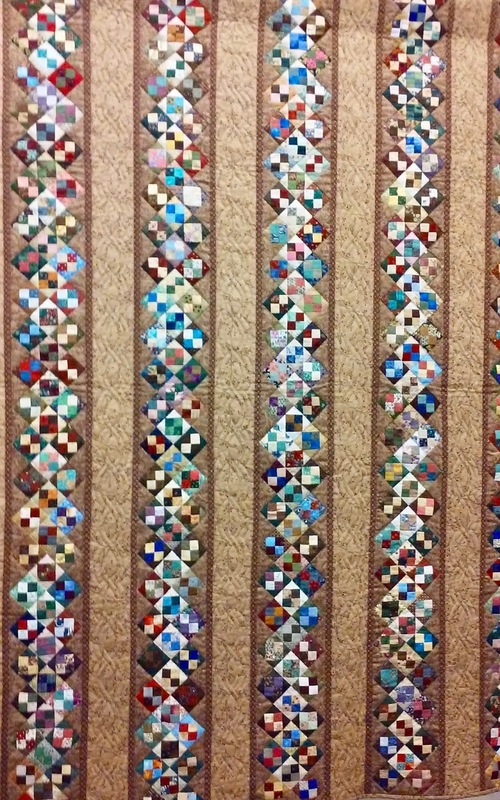 There were 2 other quilts just like it except for different colors. This one was made for the son of the maker who will be retiring from the Army soon. What great eagles!! A "Garden Patch Cats" quilt! 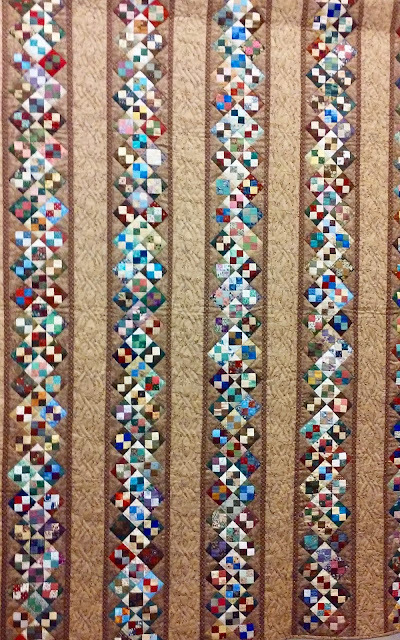 Challenge Quilts: There were a lot of these, but I didn't take pictures of all of them. 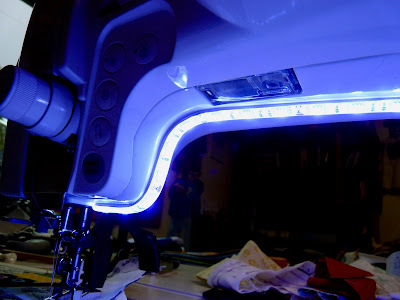 At the quilt show, I bought a LED light strip to fit underneath the top part of the sewing machine. 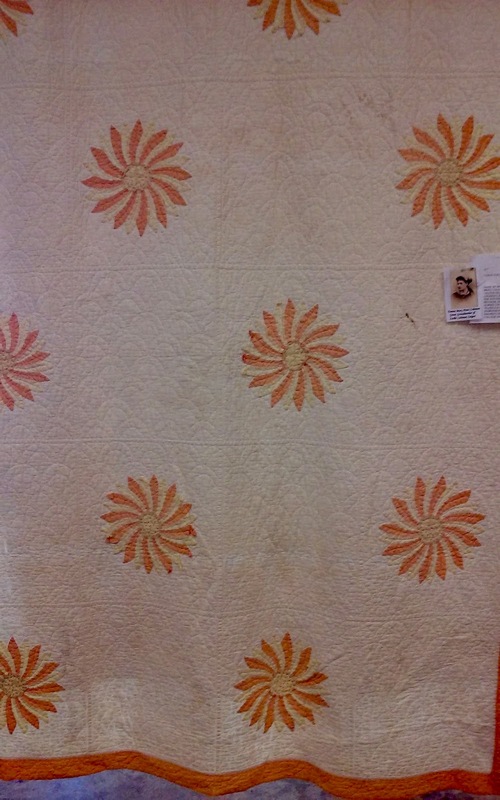 I think it will be very helpful for quilting and appliqué. What a fantastic show! Thanks for sharing. You know I love that pretty patriotic one, as well as the one that could be called patriotic, and of course, the little bird house with "Texas" bluebonnets! 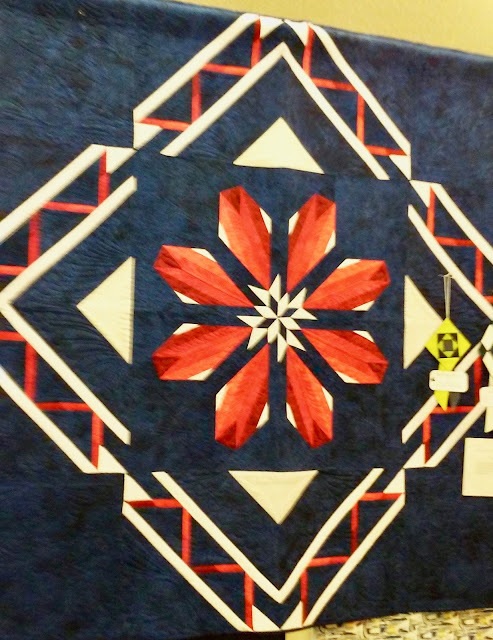 ---"Love"
Another great quilt show! I have seen that first patriotic quilt before in a magazine, it's one of my favorites of the QOV quilts. 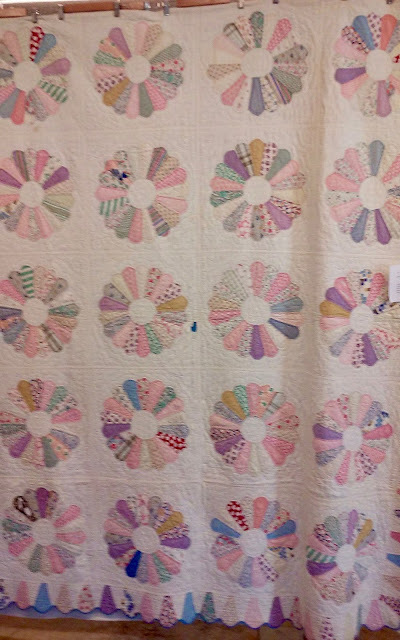 How nice that you got to see those beautiful antique quilts from Illinois. Thanks for sharing Ruth. 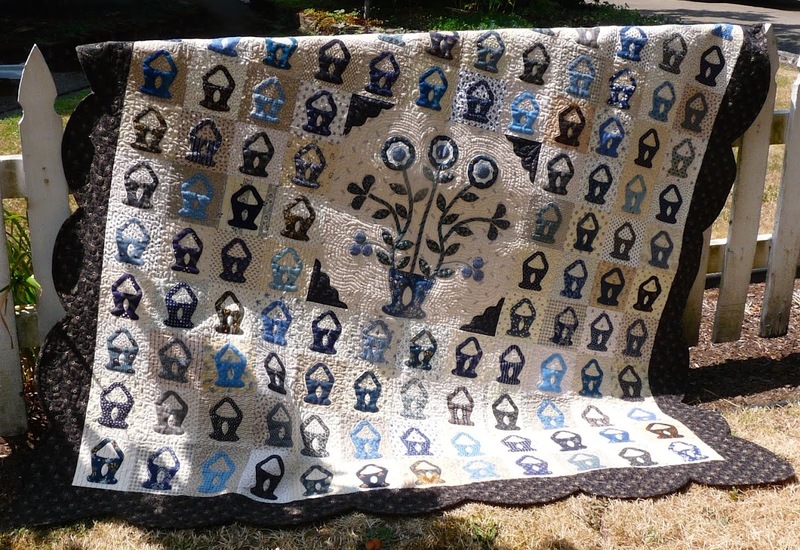 Fancy those two antique quilts coming from towns related to you and your family. 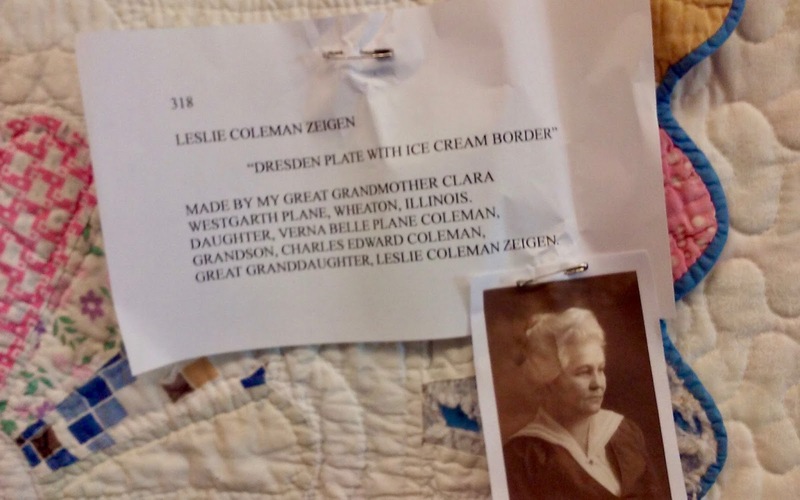 To think you will have walked the same streets as those quiltmakers. 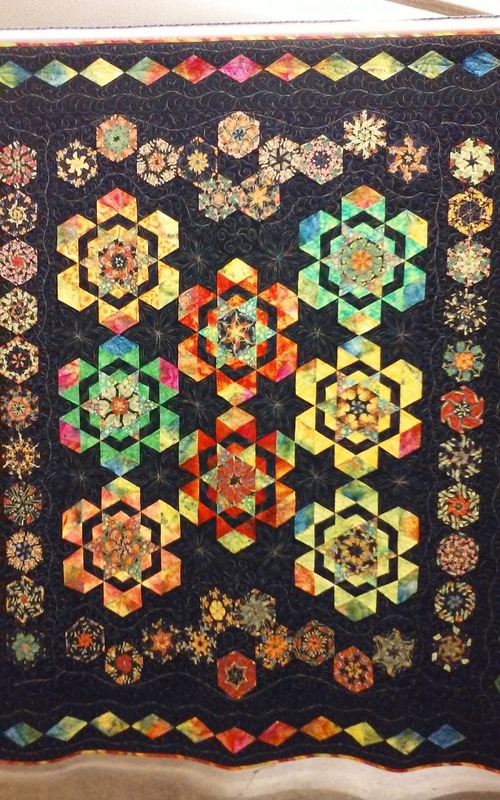 The show quilts are stunning! Absolutely love the vintage quilts and your connection to their towns of origin. 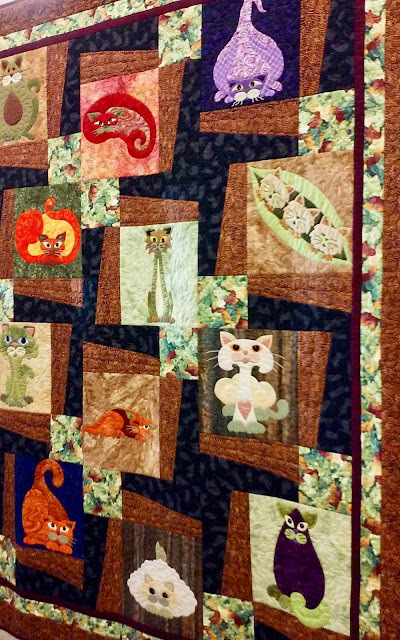 The tiny squares quilt really caught my eye (along with the eagles--how can you NOT notice those?). I have considering getting a light strip like that on more than one occasion. I'll be interested to know how you feel about it. Big improvement? My favorite is the one with all the tiny squares. 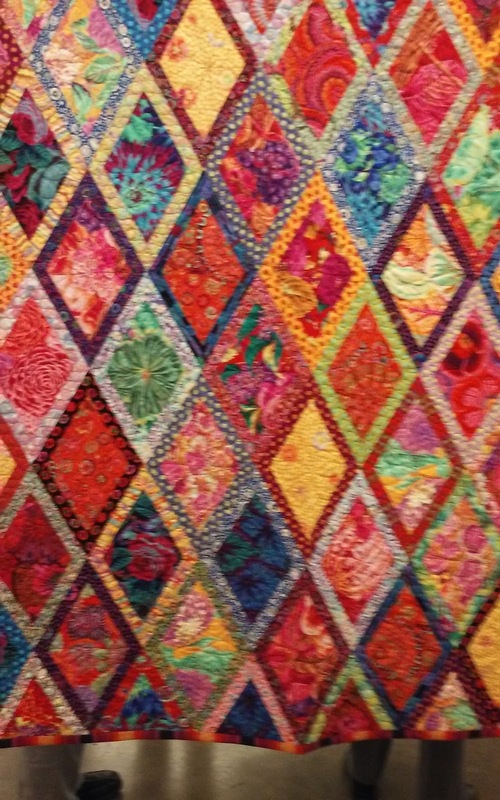 Oh my goodness...love love all of the quilts you showed. 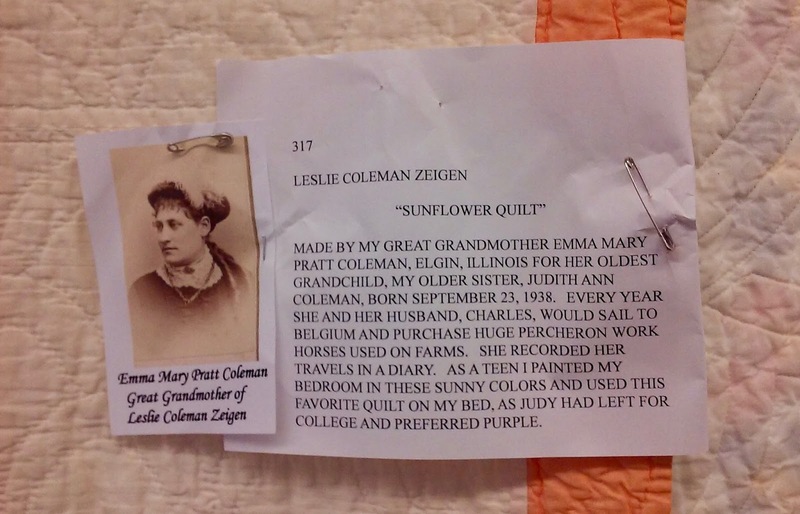 That looks like a great quilt show!